This article will show you how to use a slip pattern to make a simple apron or pinafore for your 15 inch Annie doll, Raggedy Ann type doll or Madeline type doll. 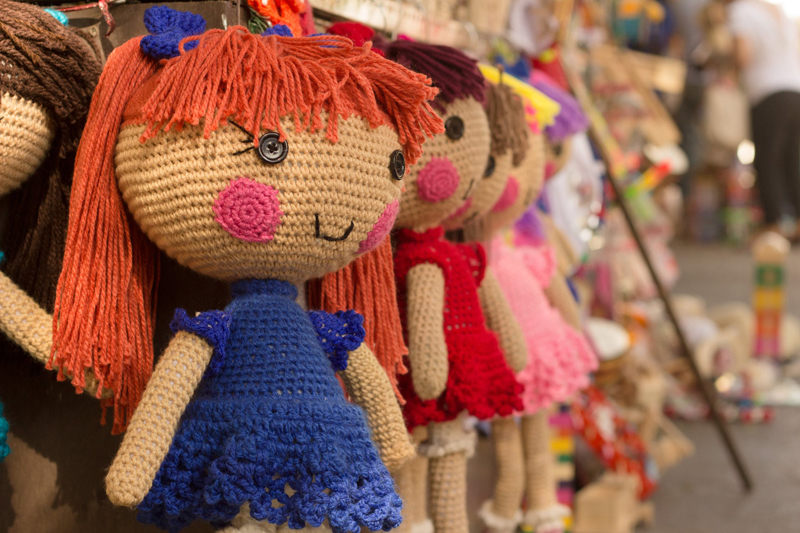 The pattern already exists on the Doll Making site and you can find it here. This pattern is free for your personal use but you may not use it commercially. To start pin and sew the side seams and shoulder seams with right sides together. Stitch the center back seam, with right sides facing each other. Turn under the arm and neck edges 1/8 inch and stitch down on the wrong side. Repeat this step. Hem the bottom by turning up the bottom edge1/4 inch, twice and hem stitch in place. At this point you could add a strip of lace or eyelet along the bottom, if you wish, I did not because I preferred this pinafore to have a more "raggedy" effect. Turn under all 4 sides of your calico square 1/8 inch and stitch in down using a small running stitch. Pin it in the position you like, preferably at an angle, so it looks like a patch over a worn spot on her pinafore. With your embroidery floss, using straight stitches of different lengths for a random appearance, "sew" your patch onto the pinafore. You may certainly add more patches, I used just one to keep it simple and I like how it looks. Because this pattern was designed for a larger doll, you don't have to leave an opening at the neck edge, it will fit over Annie's head.